As it became known, leaders of the self-proclaimed ‘Lugansk People’s Republic’ decided to take control over the Federation of Trade Unions of Luhansk Region (FPLO). 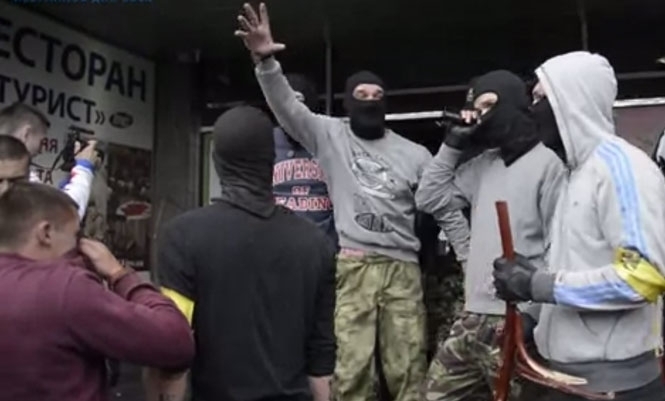 At gunpoint members of the FPLO Presidium are told to convene the meeting of the FPLO, disaffiliate with the Federation of Trade Unions of Ukraine and become subordinated directly to the ‘Lugansk People’s Republic’ leaders. In this regard the Federation of Trade Unions of Ukraine states that such actions are impermissible as under international and national law trade unions are independent in their activities from any bodies and structures. Workers of enterprises, organisations and institutions situated in Luhansk region voluntary joined all-Ukrainian trade unions and it is their conscious choice. Besides leaders of the so-called ‘Lugansk People’s Republic’ resort to threats and intimidation to block the participation of FPU Council members from Luhansk region in the meetings of the FPU statutory bodies. Taking into account the situation, the FPU will severely react to any attempt to interfere in activities of its member organisations and will appeal to international organisations and European institutions. On 26 June the eighth meeting of the FPU Council was held at the Tourist Hotel. The agenda, time and place of the meeting were made public in advance, as it was expected to consider a number of important social issues, in particular broadening participation of trade unions and FPU-owned enterprises in the provision of humanitarian aid to refugees and victims from Donetsk and Luhansk oblasts and the Autonomous Republic of Crimea. It is well known that the FPU and its affiliates in cooperation with government agencies have been providing social rehabilitation services to victims already for a long time. Many FPU affiliates have transferred funds or directly provided money to victims and members of their families. The meeting agenda also included the election of the FPU President. When the meeting started over 30 people in balaklavas and camouflage tried to break into the hall where it was taking place. Applying force, they broke down the door of the Tourist Hotel and damaged the hotel lobby. The assaulters used a stun grenades, tear gas and explosive packages against the police and FPU staff who prevented them from entering the building. Only the arrival of riot police stopped the assaulters. For the first time there was an attempt to use physical violence against the FPU Council members in order to threat the FPU that strongly opposes the restriction of trade union and labour rights, deterioration of workers’ standards of living. Despite the assault on the hotel, participants in the meeting unanimously decided to continue their work and, taking into account the circumstances, to elect the FPU President by show of hands, strictly following all statutory procedures. 5 candidates were put to the vote. The FPU Acting President Grygorii Osovyi who had long worked as FPU Vice-President and First Vice-President was elected a new FPU President. He got 214 votes out of 218 registered Council members that represented all regions of Ukraine including Donetsk and Lugansk oblasts. The voting demonstrated the unity of the FPU that represents almost 7.5 million members, denied speculations about the split of Ukrainian trade unions into ‘western’ and ‘eastern’ and effectively confirmed that workers wanted to live in the united Ukraine. All attempts to interfere into the FPU activities are illegal. The independence of trade unions is guaranteed by international and national law of Ukraine, and no one is allowed to go beyond the frameworks accepted in a civilized society. The real democracy cannot be built by undemocratic methods. The FPU was, is and will always be at the forefront of the struggle for workers’ rights and interests. 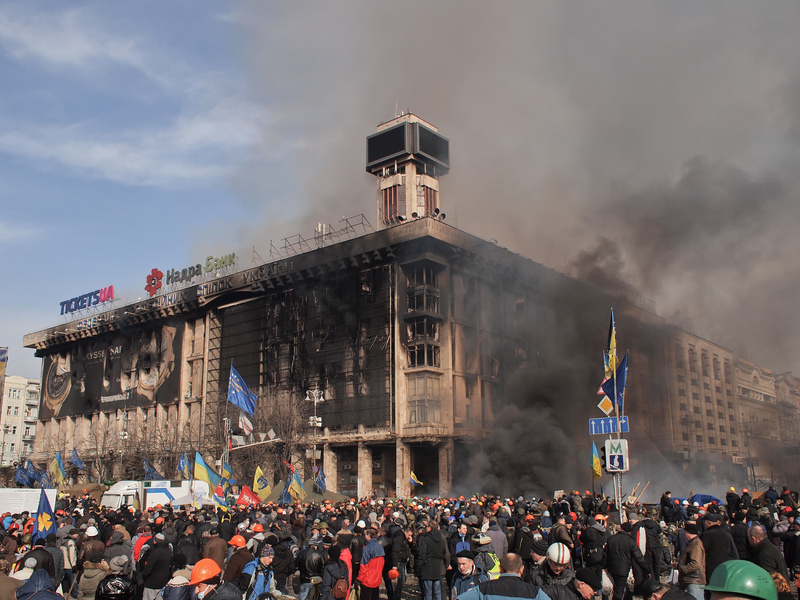 The Federation of Trade Unions building in Kyiv attacked by security forces during EuroMaidan. During the tragic events on 2 May 2014 in Odesa dozens of people were killed and hundreds injured. Trade unions express hope that this tragedy will be the last, and urge all parties of the conflict to resolve it peacefully by consensus in the broader public debate. We understand the feelings of trade union members of the region who remained for a long period without a shelter and social dialogue platform where every worker could get qualified legal assistance, protection of their social and economic rights and interests. It was disrupted the activity of the Regional Office of Social Insurance Fund for Temporary Disability and Marine Transport Workers’ Union of Ukraine which offices were located in the Trade Union House. Despite repeated appeals of the Federation of Trade Unions of Odessa Region to the law enforcement agencies the latter did not take sufficient measures to prevent the tragedy. A considerable material damage was inflicted to the trade union property as a result of untimely firefighters’ response. The FPU urges the Government of Ukraine to establish an independent commission to identify those responsible for casualties, to determine the amount required to compensate the damage and rebuild the Trade Union House of Federation of Trade Union of Odessa Region. WHO AND WHY ATTACKS THE FPU? Also we should expect to see new insinuations, because now, in the midst of the conflict with Russia, it is convenient to deal with opponents accusing them of being at least unpatriotic, spreading rumors, distorting facts or giving them a far-fetched value. 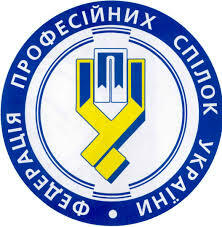 It is regular on theeve of electionsin the Federation ofTrade Unions of Ukraine. As you know, a new FPU President will be elected on 26 June. In this regard, there are new attempts to putthe FPU undercontrol of ‘their man.’ Andif possible, to remove theleadership, as early electionsto the Verkhovna Rada are not far off, and thereisa huge temptationto use considerableresource of trade unions. It should be recalled that, in 2005, the FPU passed a test for compliance with international standards of democracy and autonomy, and became an affiliate of the International Trade Union Confederation which operates in more than 160 countries and represents international trade union movement in international organisations. The FPU was the first among civil society organisations to officially proclaim policy of integration into the European trade union movement and Eurozone. This decision was taken in 2006 by the 5th FPUCongress and further regularly confirmed. The FPU supported the EU Eastern Partnership policy while warning of threats posed to workers of Ukraine by export of policy of neoliberalism, and encouraged of the European social model development in our country. Essentially protecting trade union rights,which are an integralpart of human rights, the FPU is among the national trade union centers that obtained a consultativestatus with the UN EconomicandSocial Council. Protecting workers’ rights the FPU more than once submitted complaints to the International Labour Organization demanding to pay wages timely and fully, to stop violations of a number of fundamental ILO conventions by public authorities and illegal use of child labour in Ukraine. On the FPU’s demand several Ukrainian governments had to explain to the Committee on Standards of the International Labour Conference, which is called the ILO’s conscience, why Ukraine was violating its international commitments. It definitely helped to improve legislation and situation. However, it should be also recognised that Ukrainian legislation does not fully meet even the ILO conventions on labour and social guarantees ratified by Ukraine. And there is also fault of the legislative authority. It was the Verkhovna Rada who failed to ratify, despite demands of trade unions, the whole European Social Charter, in particular, such important provisions as Article 1 ‘The right to work’, Article 12 ‘The right to social security’ and Article 13 ‘The right to social and medical assistance’. We would like tourge the Members of Parliament toaccelerateapproximationof national legislationto European one, to implementEuropean international standardsin the field ofsocial protection inlaw practice in Ukraine. Now someone has been trying to involve the whole Ukrainian Parliament in a raider attack on trade unions. Deliberately unlawful, with flimsy accusations, the draft Resolution of the Verkhovna Rada of Ukraine ‘On creation of temporary committee of inquiry in the Verkhovna Rada of Ukraine in order to investigate facts of illegal alienation of immovable property that is in use of the Federation of Trade Unions of Ukraine’ recently submitted by the Member of Parliament of Ukraine S. Kaplin (faction of the Udar Party) cannot arouse anything but righteous indignation. At the same time, we would liketo remind thatnotlaws, but Resolutionsof the VerkhovnaRada of Ukraine No. 2268of10/04/1992andNo.3943of04/02/1994questionedpropertybelongingto public organisations despite the state actsof property rights, that allowed the prosecutor’s office, courts andthe State Property Fundto makeillegal actionsto seizeproperty from trade unions. The FPU,unitingnearly 7.5million workers, students, and veterans of labour,is a rightful ownerof allsanatoriaandhealth resorts. It isofficially confirmed by relevant governmentregulationsandcourt decisions, and protectedby Articles13, 41, 92 of the Constitutionof Ukraine. Our allies and voters remember well that it was the current Verkhovna Rada who adopted the corrupt Law of 16 June 2014 ‘On Public Procurement’ and still refuses to bring it into line with the EU legislation, that it was the Verkhovna Rada who failed to pass laws that would stop outflow of billions of dollars of income hard earned by Ukrainians to offshore zones. It is the Verkhovna Rada who has been failed to adopt a new Labour Code for 15 years, protecting interests of large businesses, who approved the former Prosecutor General of Ukraine, and heads of law enforcement agencies on whose orders all the FPU’s leaders and staff were forced to come to endless questionings by investigators during the events on Maidan, and the latter tried to intimidate them by criminal liability for providing shelter for protestors. Finally, it wastheVerkhovnaRada,itsformermajority who legalised the constitutional coupin Ukrainegivingthrough the Constitutional Courtunlimited powersto the formerPresident of Ukraine,and thenunconditionallyfulfilledhis will. Today,someone wants tofinish whatthe previousregimefailed to do: to breakthe last outpost ofsocial and economic protection of workers in Ukrainein these difficult times forthe country and society, the times of deepeconomic and structuralcrisisand offensive ofglobal capitalonsocial rights. We would like toask the authorof the draft Resolutionwhy he would notfind outwhat happened topublichealth resorts, in particular belonging tothe Ministry of Healthof Ukraine?If you would like to inspect, then inspecteverything, otherwise we would considerthe draftRegulationasanother attempt todeprive workers and trade union members of their lastproperty. believethat all issuesin the countryshould be resolvedprimarilythrough dialoguetaking into account ofcitizens’ interests as much as possible. Everyone must respect the law, even the highest officials. The trade union health resorts have been lawfully established for decades by generations of workers at their own expense, and hundreds of thousands of people have still been treating and improving their health there. Trade unions will not allow ‘new raiders’ who, under the guise of democratic transformation in the worst traditions of the nineties, have been encroaching again on the property of trade union members, since public one had long been pilfered by predecessors, sometimes, with direct participation of the current ones interested to ‘restore order in trade unions’.